Find out about 'Observing Our Posture & Style Exercising' on The Wellness Directory. Then find a Personal Training practitioner to help you with Back Pain, Flat Feet, Habitual Behaviour, Postural Problems. Recently on my walk I was very aware of how other people were walking and running. I began to notice their posture and walking/running style. I am used to looking at people’s posture as I have been teaching yoga and general exercise for many years, but I had not, until that day, realised how poor most people’s running/walking posture and style actually is. I contrasted this to how I was walking that morning –effortlessly, lightly and joyfully. I felt like the seagulls I had observed earlier, sitting on the sea, and then gliding along the sea effortlessly–almost like stillness in motion. 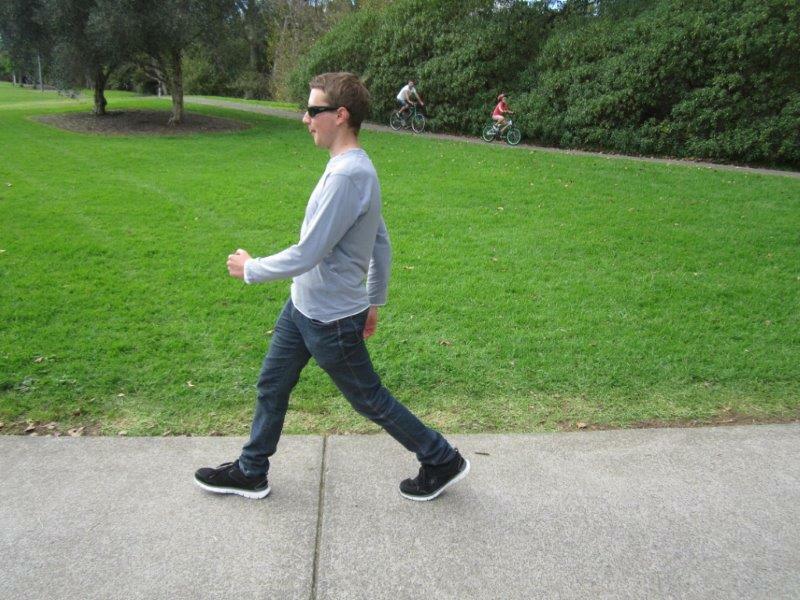 Do we ever observe our posture or style whilst running, walking or exercising generally? - Tight hips and/or knees rolling in. - Do not appear to be aware of our surroundings or of other people. Perhaps we do not notice we are doing these things, especially when we are listening to music or talking on our phones or talking animatedly to someone; or, perhaps we do notice but push on, regardless of how our posture, style or behaviour may be affecting our body; regardless, perhaps, even of pain! I also used to exercise without regard to my body –my posture, my style, how my body was feeling… I was aware of the pain sometimes, and cramping –such as towards the end of a 100km bike ride –but I ignored the pain and pushed on. How can we start to correct poor posture, style or behaviour whilst exercising? When I commenced studying with Universal Medicine, I started to bring more awareness to my body and connecting to how I felt, before I moved. By bringing my focus to the quality of being in my body - i.e. understanding how my body felt, e.g. was I being gentle with myself and feeling still and connected to my body, or was I feeling tense and anxious and racy, with my mind all over the place - before I started to exercise, and by developing that relationship first, I was then able to take that connection and focus into the exercise. Therefore I knew if and when, my posture, style and behaviour whilst exercising were supporting my body or were harmful to my body. This in turn led me to make choices that were more supportive for my body. - Have equal weight through my feet. How different my body feels now whilst exercising, and afterwards! I no longer get a build-up of lactic acid in my muscles, so they recover well from the exercise, because I observe my posture and style and let my body guide me as to when I have exercised enough. I do not get cramp whilst exercising (from over-exertion). My body no longer aches from over-exercising or from exercising in a way that is not supportive. For example, I don’t have tension in my lower back or neck from exercise (I used to get this tension a lot, especially when long-distance cycling, hunched up over the handlebars for hours on end).